GAGA Disbanded | VKH Press – J-Rock & Visual Kei Coverage Worldwide! 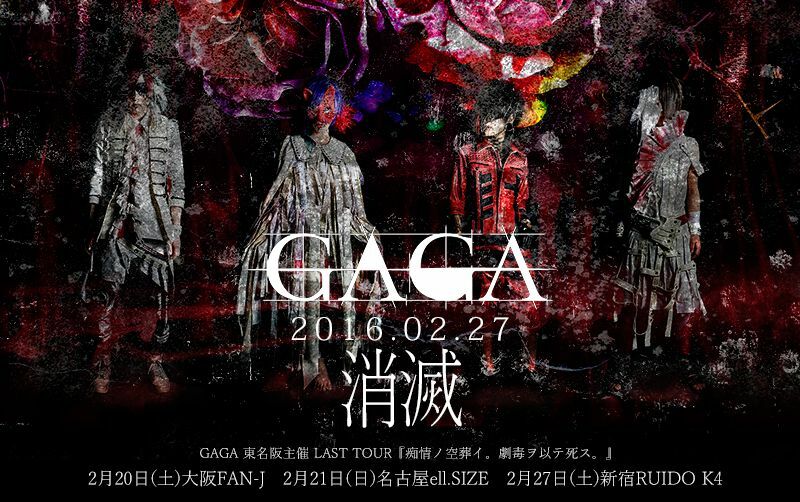 Unfortunately, visual band GAGA has disbanded yesterday after their performance at Shinjuku RUIDO K4. Back in December 2015, the band's vocalist Tohka already left due to his poor physical condition. It has been difficult to continue for the three remaining members, so they decided to end activities. GAGA has been active since October 2014. They thank all of their fans for their support.